Make November your lucky month and play the hottest online slots and pokies at Fair Go Casino with free chips and free spins! Use the November no deposit bonus codes listed below to claim your free chips and freebies this month. Please remember that terms and conditions apply to all casino bonus coupons and never use two free bonuses in a row. Additional coupons will be added to the list as they are released. Keep an eye on this thread for new Thanksgiving no deposit codes and please share any Fair Go coupons that you find below in the comment section. Good luck! Valid for new noluckneeded.com players who register after clicking the banner above. Standard free bonus rules apply. $50 maximum cashout. 60x wagering on slots. $10 max bet. Valid If you made a deposit in the last 3 days (including today!). Do not claim two free bonuses in a row. $10 max bet; Terms & Conditions apply. $180 max cashout; 60x wagering on slots; Valid 21 November until? Free spins are valid for Panda's Gold game | *Free Bonus can be redeemed only if you have made a successful deposit in the last 3 days, including today | Maximum cashout is $180 | General bonus terms apply; Valid November 17 until? **If you deposited today only! Free spins bonus can only be redeemed if you have made at least one successful deposit on the day of desired bonus redemption | Maximum cash out applied to the free spins bonus is $180 | Free spins bonus carries 60x playthrough requirement | Note the max bet rule applied to the bonuses | General terms apply. Valid November 7th until? Valid for today's depositors; $180 max cashout; 60x slots wagering, $10 max bet. $180 maximum cashout, 60x wagering, $10 max bet. Do not claim two free bonuses in a row. Valid 11/1 until? Valid for depositors. $180 maximum cashout, 60x wagering, $10 max bet. Do not claim two free bonuses in a row. Valid 11/1 until? The bonus is valid for players who have made a deposit today. Maximum cashout $180; Wagering requirement 60x; Do not claim two free bonuses in a row; Expires? Standard free bonus rules apply. Redeem the coupon code in the casino cashier. Do not use two free bonuses in a row. Listed at the bottom of this post. No Maximum Cashout! Free Spins Game: varies; AUD$20 Minimum Deposit. Bonus terms and wagering requirements apply, please check the casino's website for details. Ongoing offer. Are u all ready for this one? I have found and used all the codes below, they are all redeemable either once a month and marked with an * or most are once a week, new week beginning Sunday 2pm Australian time. Have Fun!!!! Wow – I can’t believe it’s been one whole year since I first started sharing my life’s story in this online diary. In that time, Fair Go members have learned all about me. But I reckon that the best is still yet to come. So for everyone out there reading this now, stay tuned for more stories and bonuses from your favourite casino loving koala. New Fair Go Casino Codes! Re: New Fair Go Casino Codes! Hey hun how r ya. Valid until: 1/11/2018 UNTIL UNKNOWN ?? Valid until: 31/10/2018 UNTIL UNKNOWN ?? Mzmelabella, Thanks for all the codes! This code 15-BUBBLE-2 was from the newsletter and I told them what you said. Tested: YES ON MY ACC AND IT WORKED. Mzmelabella, Thanks! The 15 free spins code is working now. Yeh i posted when I saw the code was now in action hahhaha. Arriba, Arriba: 100 Free Spins! Take advantage of 100 Free Spins bonus on your next deposit. The Featured Game: Popinata - our colourful and incredibly entertaining online pokie game. With a distinctly Mexican party feel, Popinata will take you to the land of sombreros, cacti and good vibes. How to redeem the bonus: Go to Fair Go Casino, enter the coupon code in the "Coupons" menu before you make a deposit, then sit back and relish seeing 100 Free Spins on Popinata. 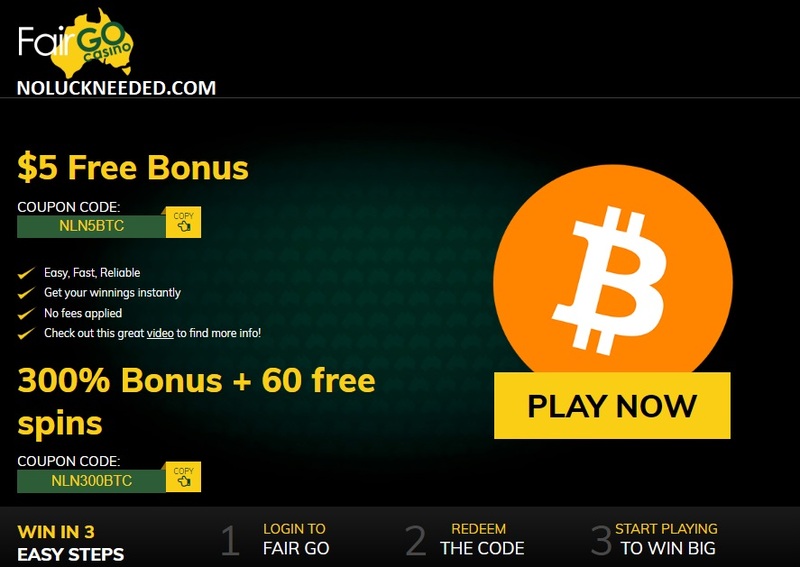 Terms: The minimum deposit is $20, with a potential for unlimited cash out. Playthrough of 30x includes deposit and bonus. 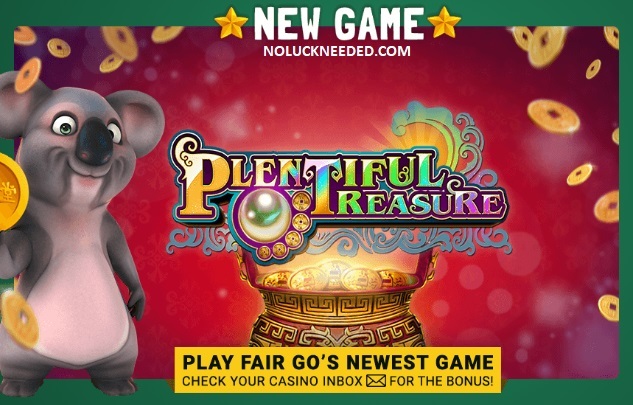 Featured game for the free spins: Plentiful Treasure | The minimum deposit amount differs for each deposit bonus | No maximum cash out is applied to deposit bonuses | Wagering requirements: 30x bonus + deposit, 20x free spins | Free spins bonus can only be redeemed if you have made at least one successful deposit on the day of desired bonus redemption | Maximum cash out applied to the free spins bonus is $180 | Free spins bonus carries 60x playthrough requirement | Note the max bet rule applied to the bonuses | General terms apply.